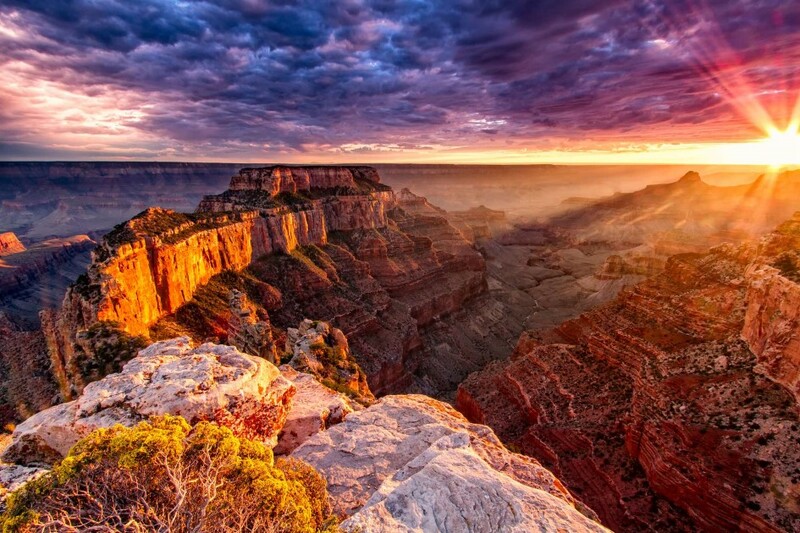 Grand Canyon National Park is a huge destination with so many things to see and do for visitors. The park covers a vast area with several different sections, each with its own uniqueness. Enjoying the whole area and all attractions in the Grand Canyon would be impossible to do in one or even in a few days. So if you’re planning on visiting the Grand Canyon, you will need to have a solid itinerary, especially if you have a very limited time to spend. Which area do I want to visit? Where do I wan to stay? When you have answered the above questions, there will be more questions to follow, like how do I get there? How can I save money on my Grand Canyon vacation? When would be the best time to go? And many others. But for now, let’s focus on the three essential questions that will help you create a great plan on your Grand Canyon visit. In order to begin answering those important questions, you can consider your starting city. For example, a lot of tourists visit the Grand Canyon from either Phoenix or Las Vegas. If one of these is your starting city, then you can decide which area of the Grand Canyon to visit quite easily. 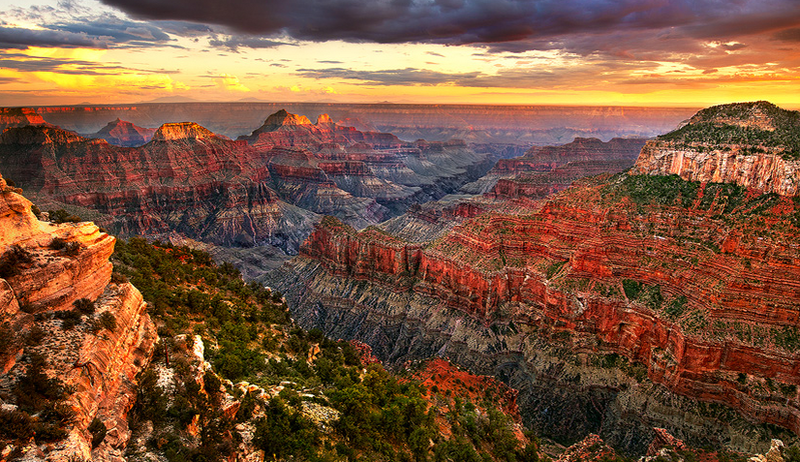 If your starting city is Las Vegas, then you might want to choose the West Rim to visit on your Grand Canyon trip. That’s because the West Rim is the closest area of the Grand Canyon from Las Vegas. That’s also why the West Rim always has the most visitors as compared to other areas of the Grand Canyon. Because a lot of Grand Canyon visitors are actually tourists who have just visited Las Vegas. On the other hand, if you’re starting from Phoenix, then the South Rim might be a more suitable choice. After you have chosen an area in the Grand Canyon for your visit, you can then focus on looking to book hotels near the area of your choice. There are three main areas in the Grand Canyon and near each area there are many nice accommodations that you can book. After you decide which area to visit, you can then choose what kind of Grand Canyon tourist attractions you wish to enjoy and what kind of activities you want to do. That’s because each area has its own unique attractions and things to do. As for the broader questions, there are actually no wrong answers. The way you answer those questions pretty much relies on your personal preference. As already mentioned above, the way you decide which area (rim) to visit in the Grand Canyon would pretty much depend on your starting city, which is quite simple. Of course no matter where you start, you can visit any of the three rims. But if you decide to visit a further rim than that, it means you will need to invest more time, budget and resources to get there. The Grand Canyon is in the remote part of Arizona and it covers an enormously large area, so the distance between each rim is significant. 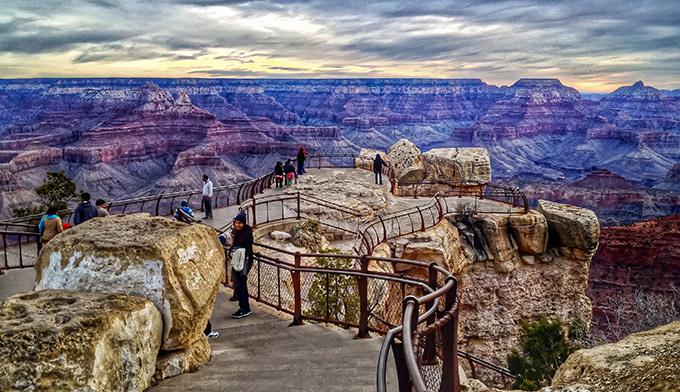 If you’re starting from Las Vegas, the West Rim is a great choice because that’s the closest one from Vegas – about 2,5 hours away. 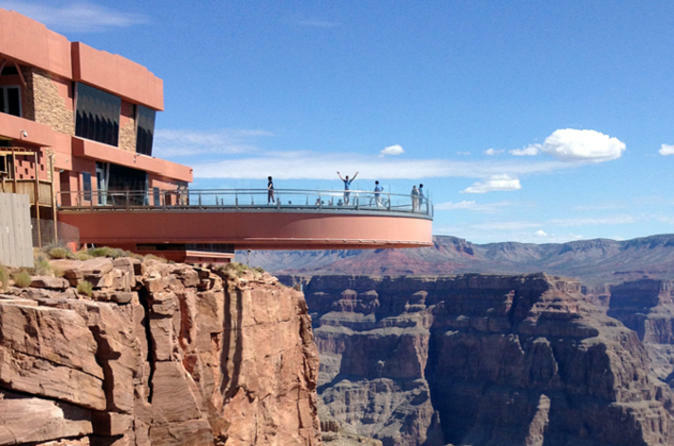 This is where you can find the famous Grand Canyon Skywalk, a glass bridge with horseshoe shape sticking out about 70 feet away from the edge of the cliff. This is the favorite spot for most of the visitors to take photos. There are also guided ground tours, as well as airplane and helicopter tours available in this area. For those starting out from Phoenix, the South Rim is a better option. This is the hub of the National Park where you can find museums, viewpoints, park lodges as well as several nice visitor centers. This is a great area for adventure trips. You can go on Grand Canyon hiking tours or tame the Colorado River with the Grand Canyon rafting trips. There are various things to do in the Grand Canyon and mostly can be done in this area, including the very popular mule rides. Lastly there is the North Rim, this is the least accessible area of the canyon, but if you just take the time and effort to get there, you’ll realize that it’s really worth the effort. The North Rim has a stunning view and there are also many great attractions waiting to excite you.